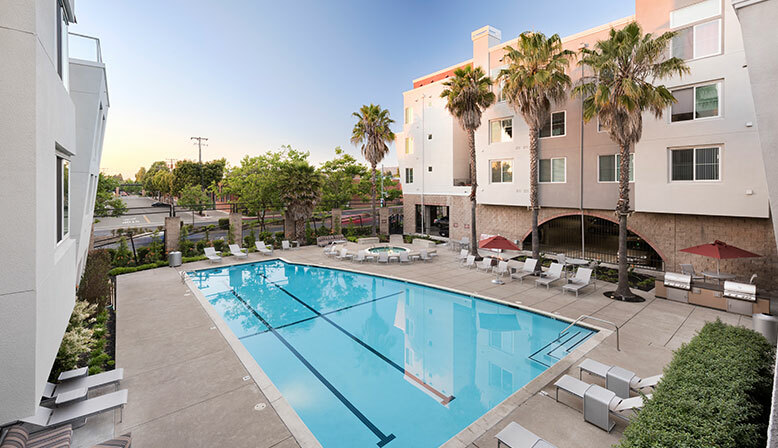 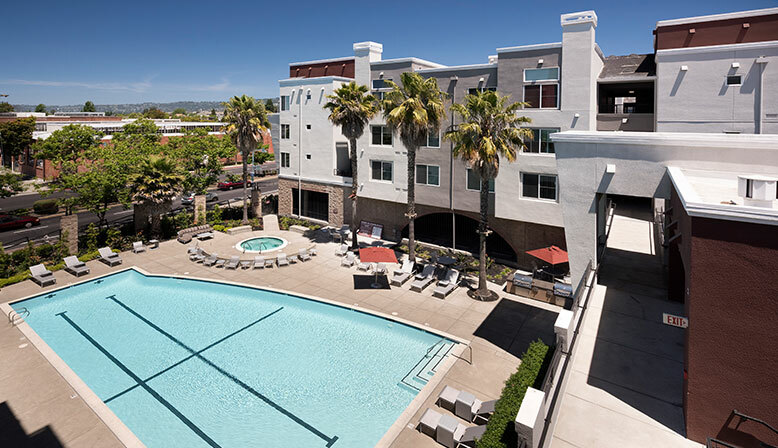 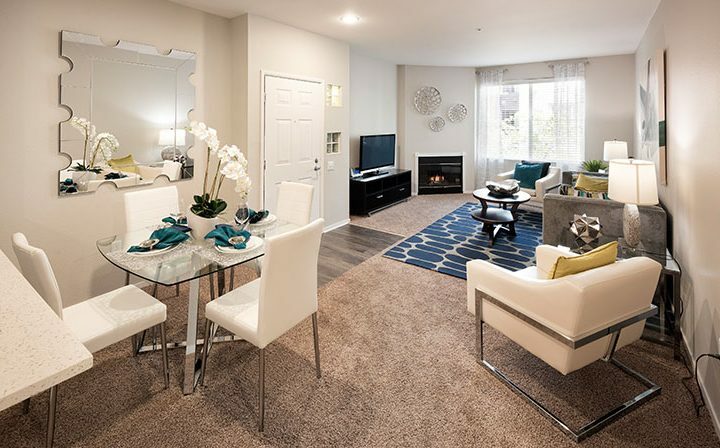 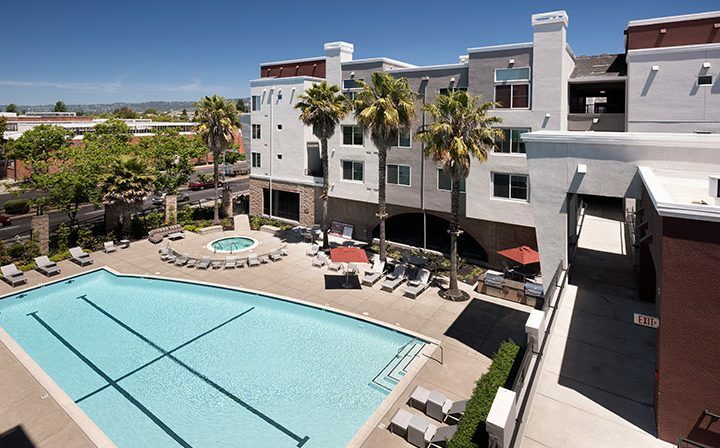 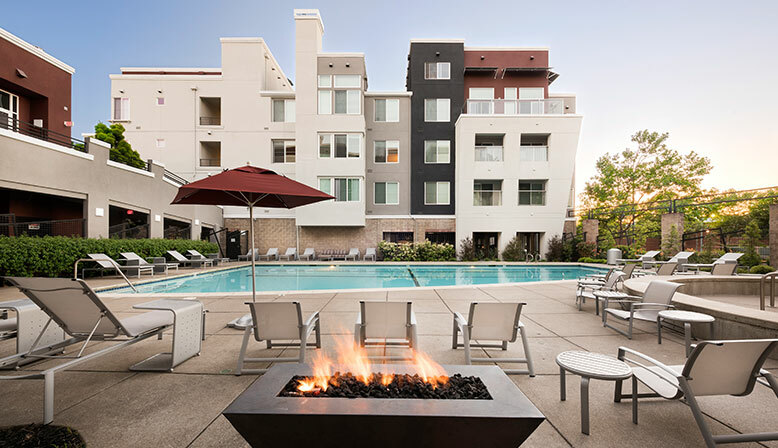 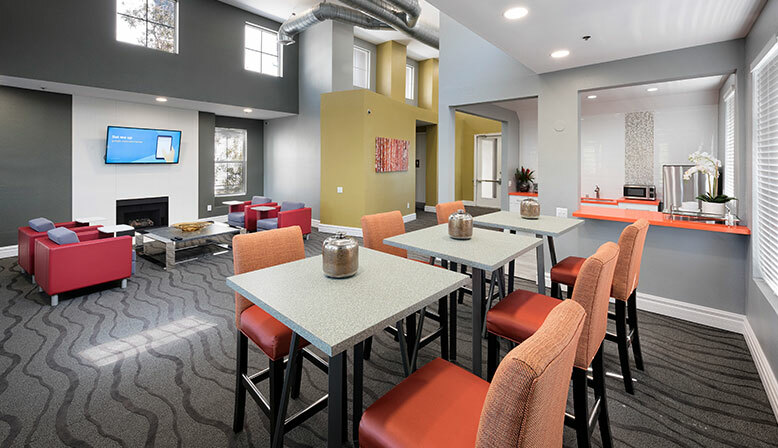 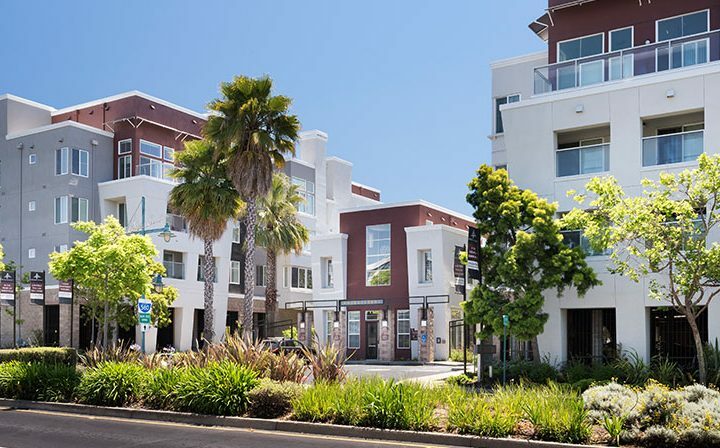 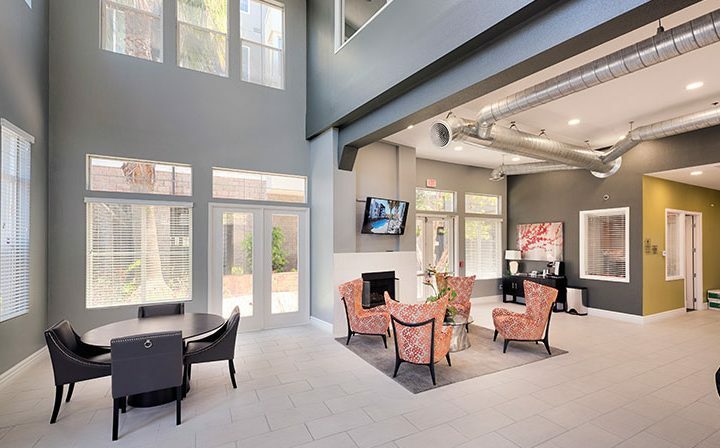 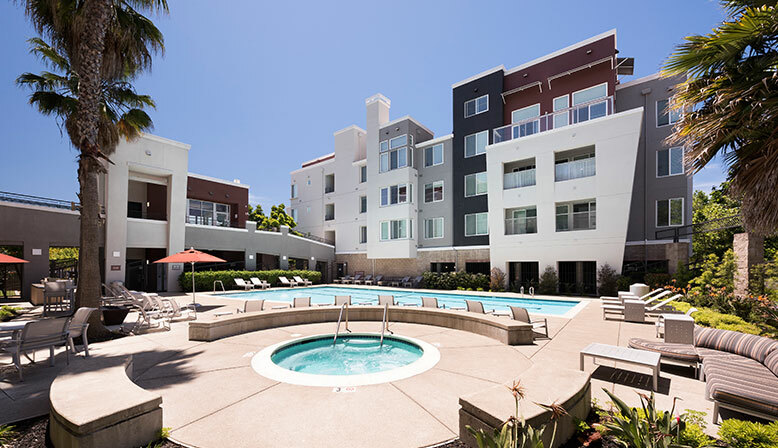 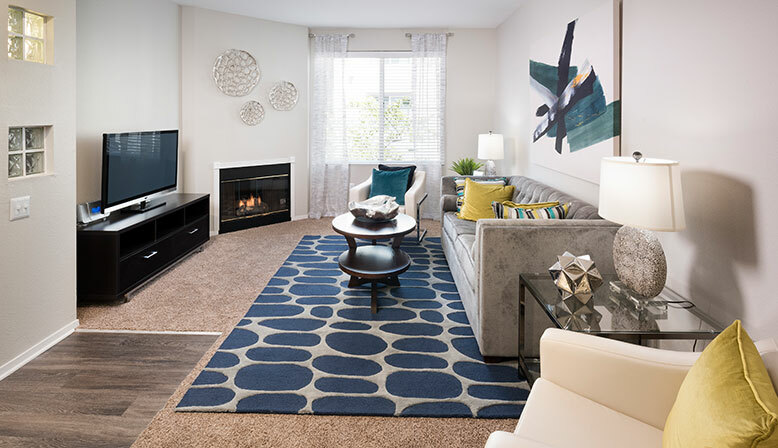 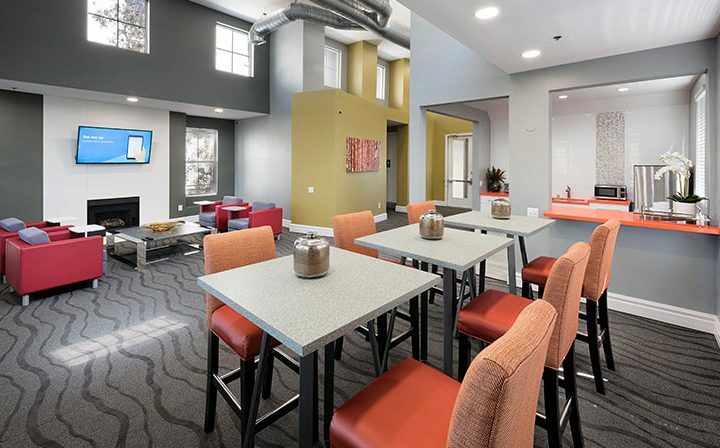 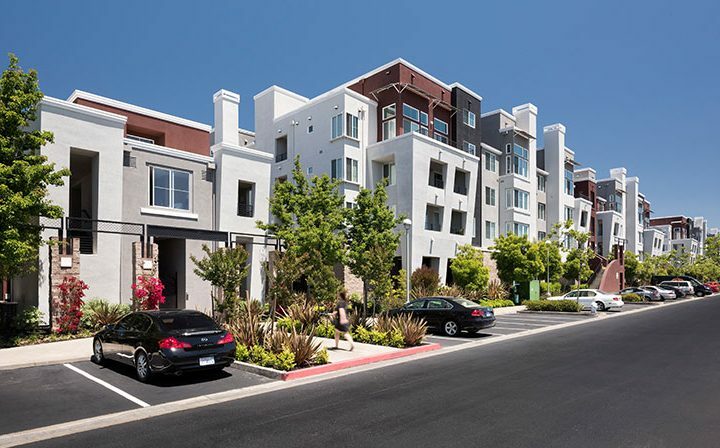 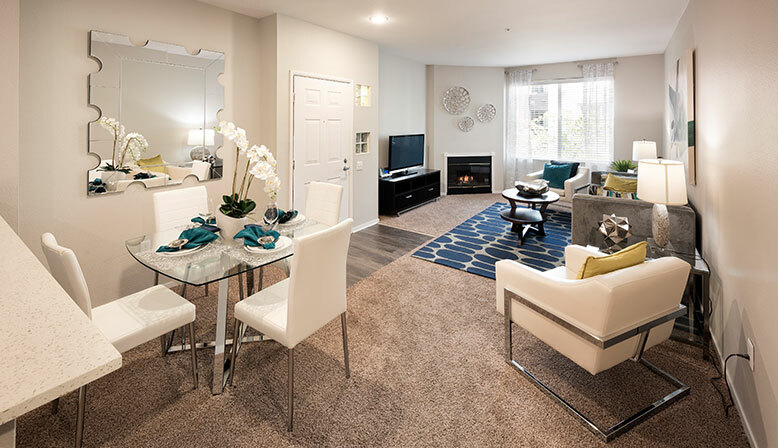 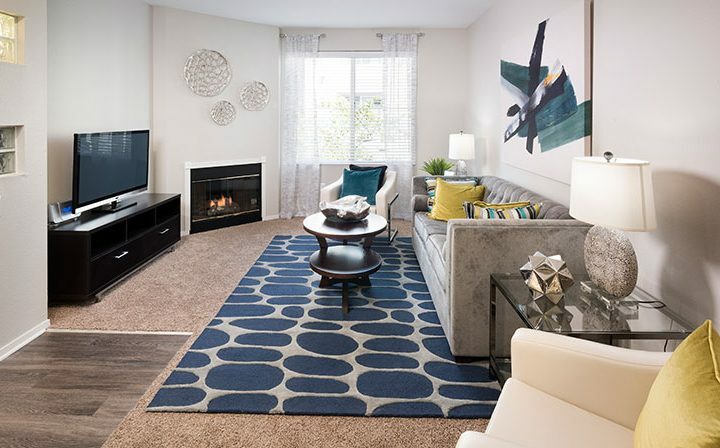 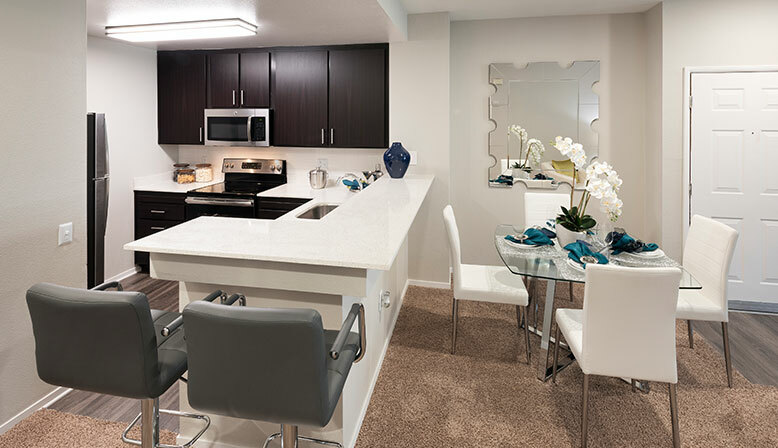 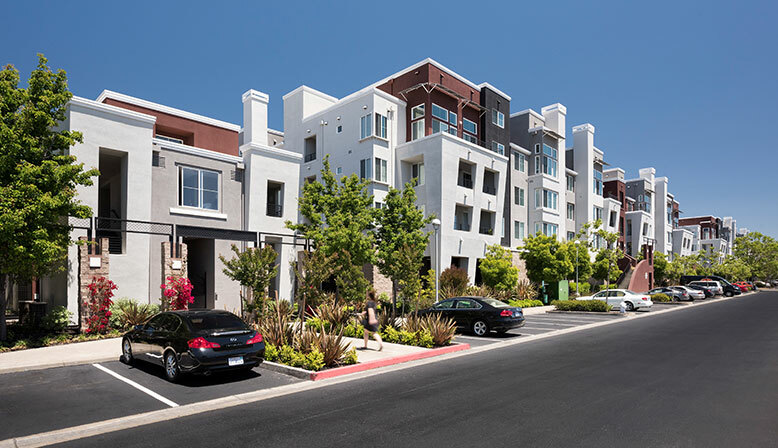 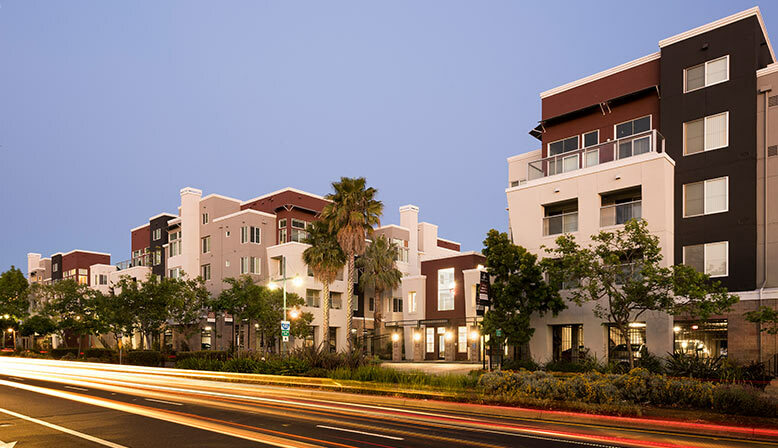 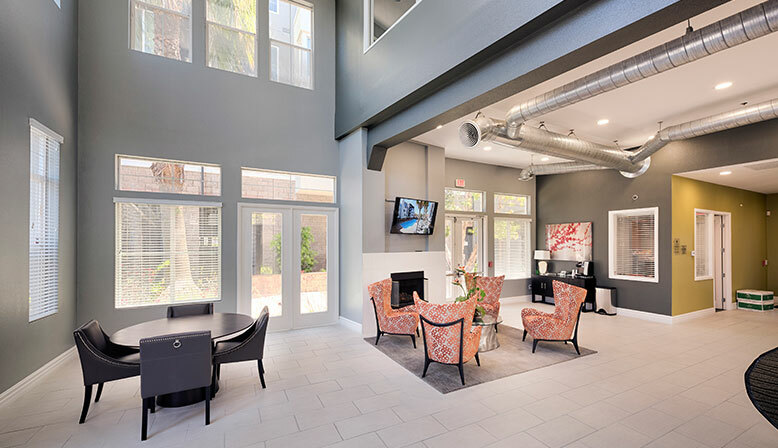 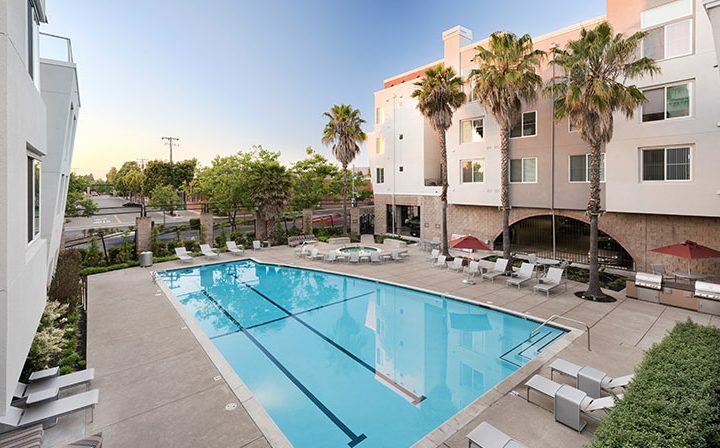 Welcome to Bridgecourt: Emeryville apartments located in the heart of the Bay Area. 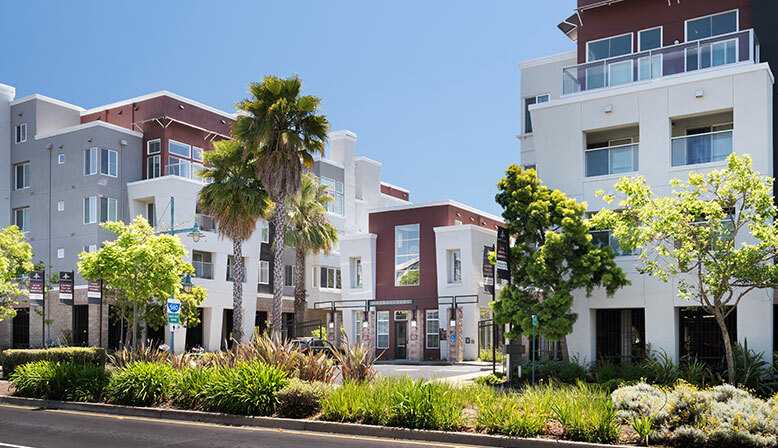 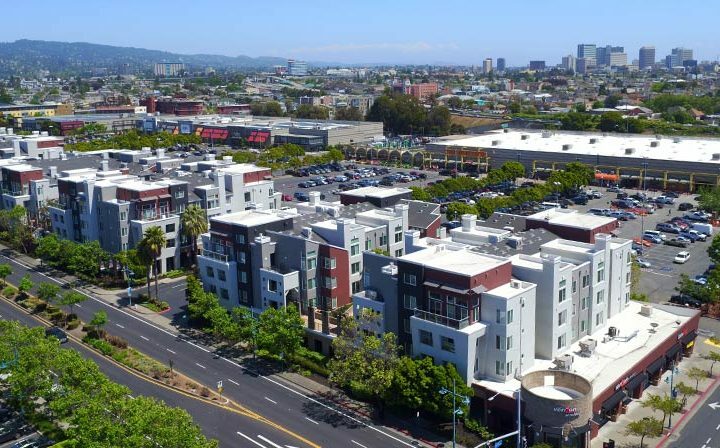 Situated just a block from Pixar and right across the street from the East Bay Bridge shopping center, Bridgecourt is positioned in a bustling part of Emeryville, next to a wealth of shopping options. 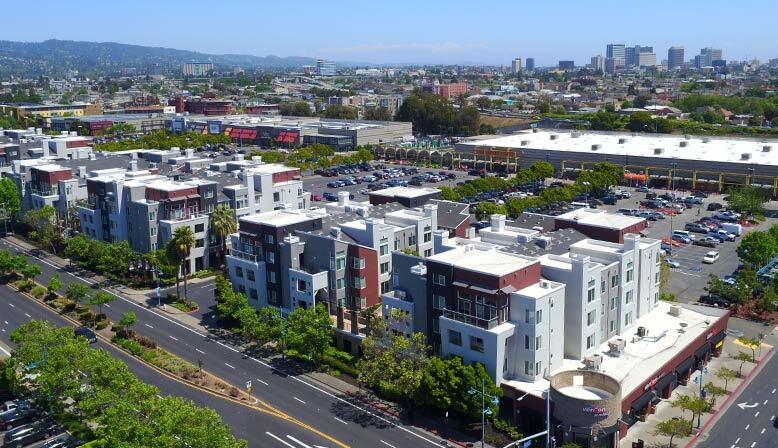 If you’re looking for quality groceries, you’ll find a Safeway, Target, and Trader Joe’s not far from the apartment community. 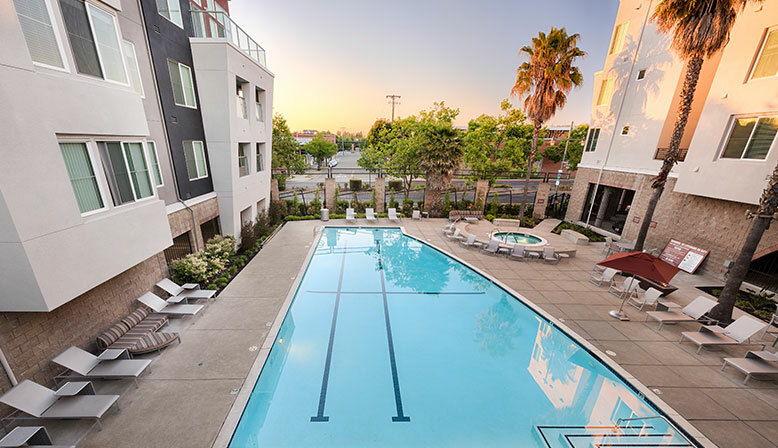 Want to head to San Francisco for the day, to experience the De Young or Legion of Honor museum, or any of the other countless attractions the city has to offer? 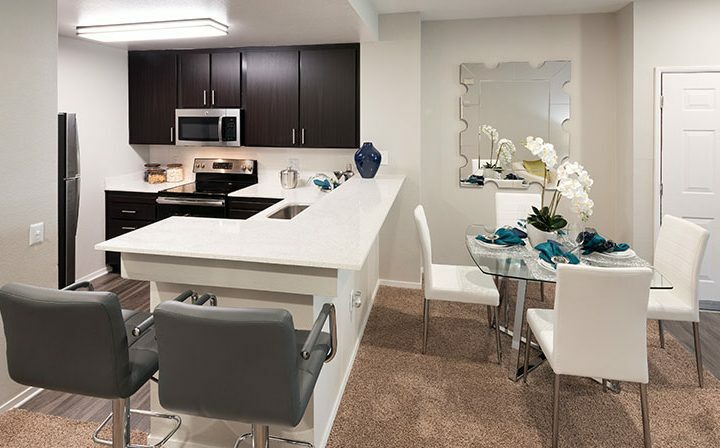 It’s just a 15 minute drive away, across the Bay Bridge. 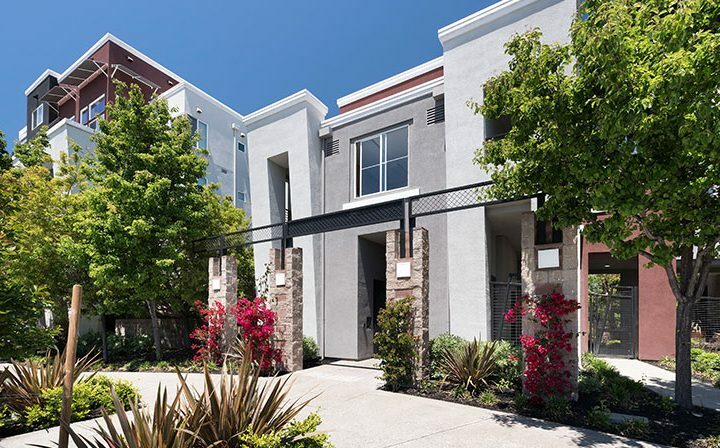 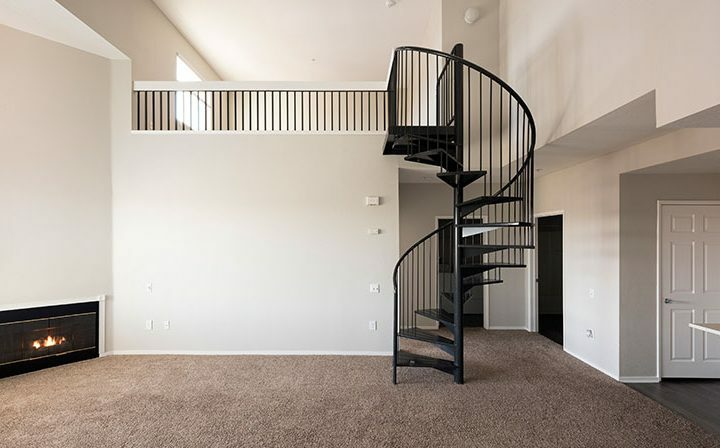 Located just a short walk from a BART station, and near Amtrack and AC Transit lines, these Emeryville apartments for rent are located in the center of a Bay Area transportation hub. 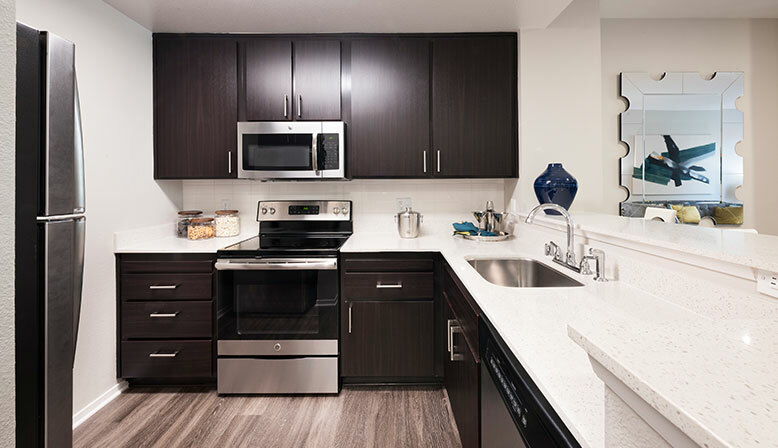 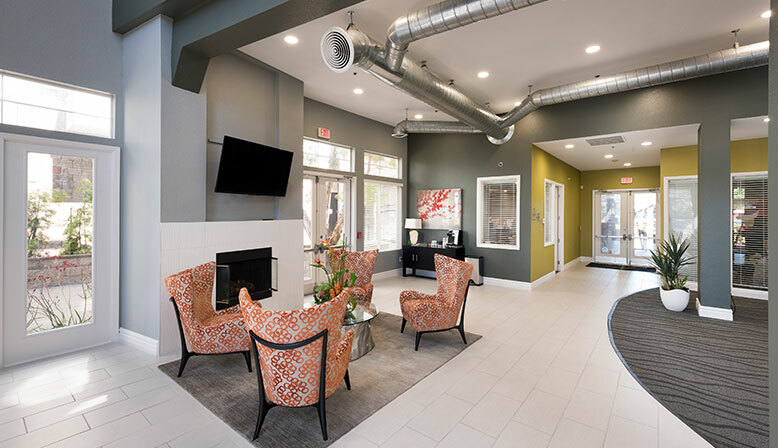 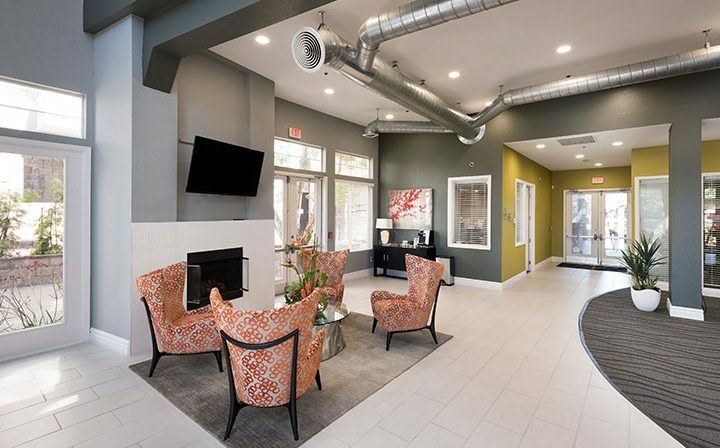 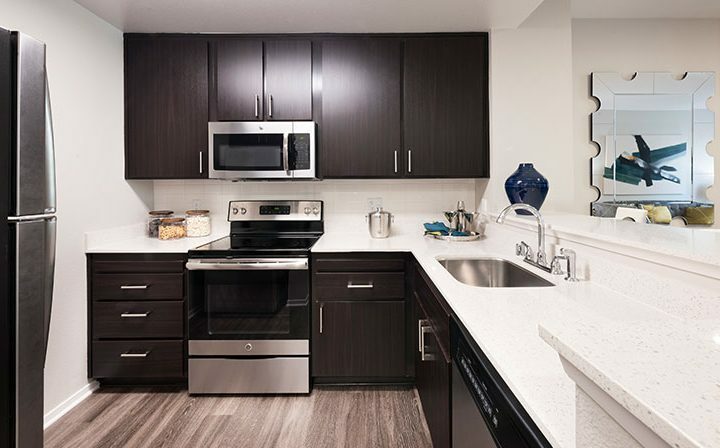 Our newly renovated Emeryville apartments include in-unit washers and dryers, USB outlets, stainless steel appliances, quartz countertops, tile backsplash, vinyl plank flooring, new cabinets and drawers, and upgraded lighting. 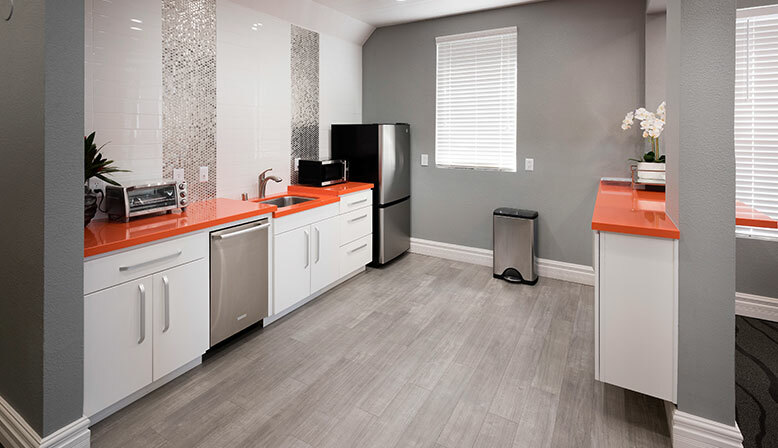 Some units also offer loft-style floorplans and vaulted ceilings. 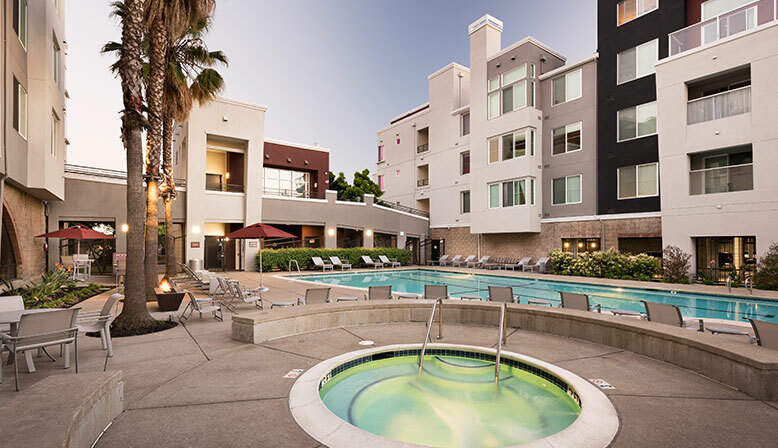 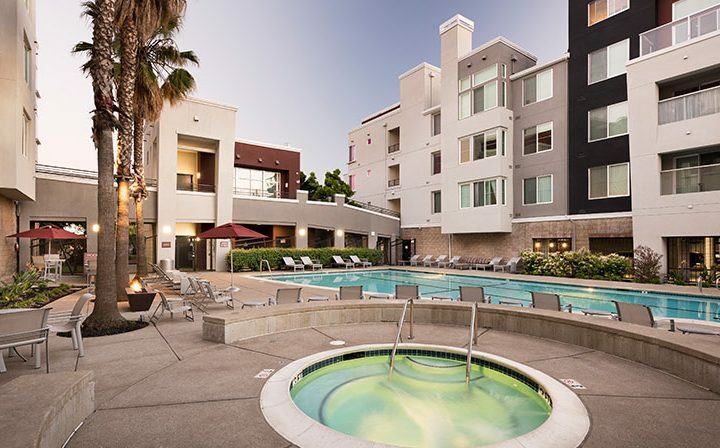 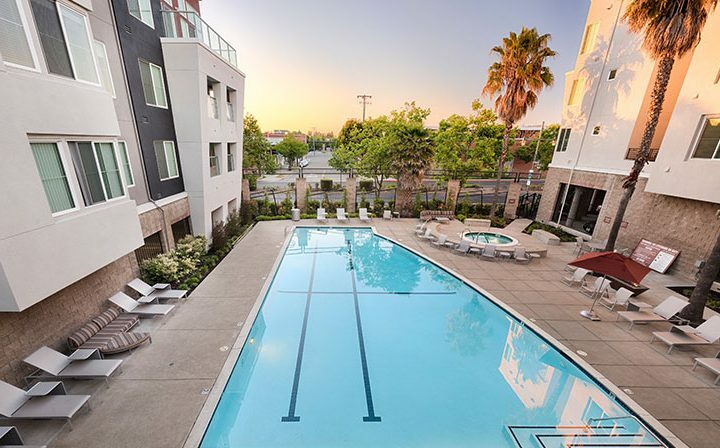 Built to be luxury apartments in Emeryville CA, you’ll also find a host of shared amenities. 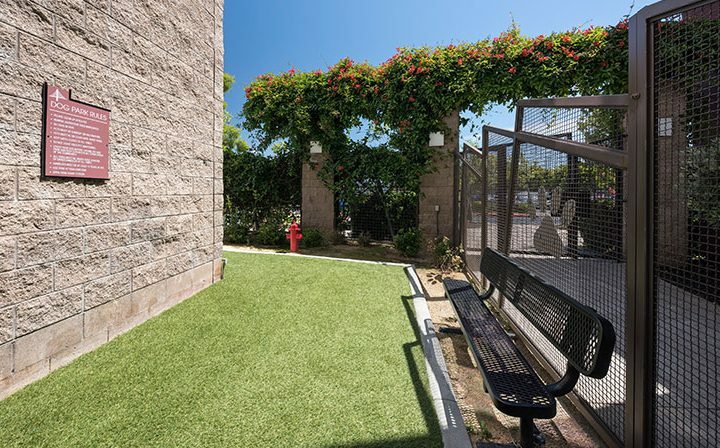 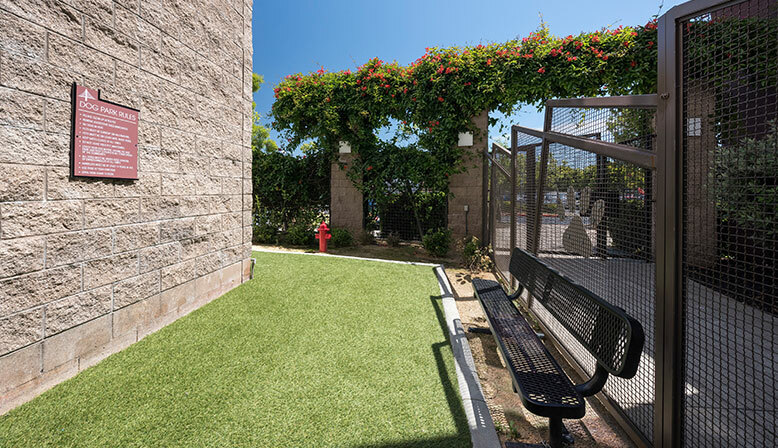 These include controlled access with gated parking, a dog park, clubhouse, and BBQ area. 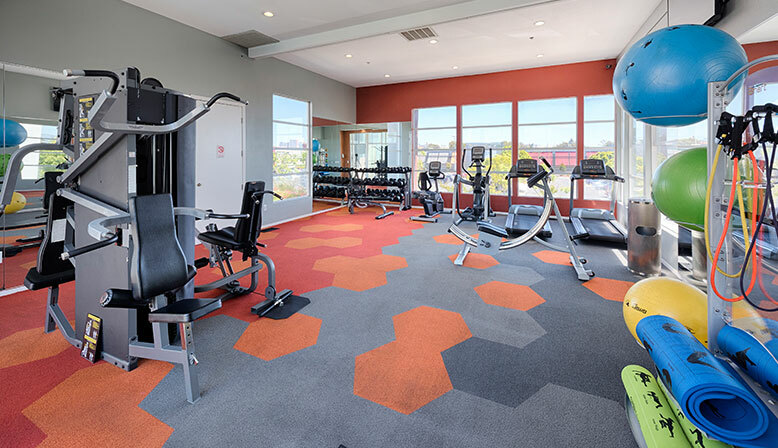 Why bother with a gym membership when you have everything you need right at home? 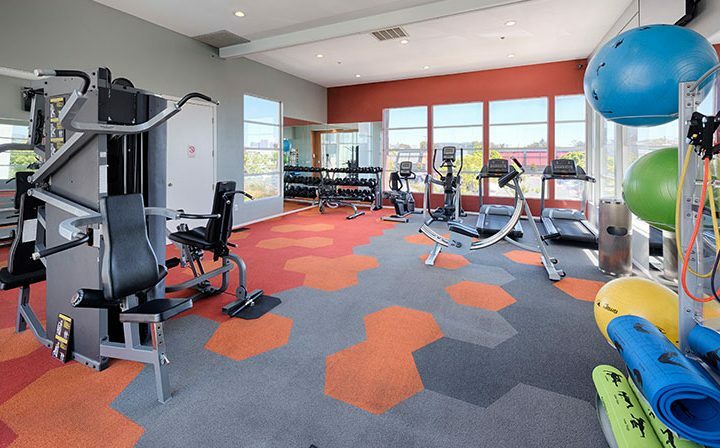 At Bridgecourt, you’ll find a state of the art fitness center, as well as a sauna. 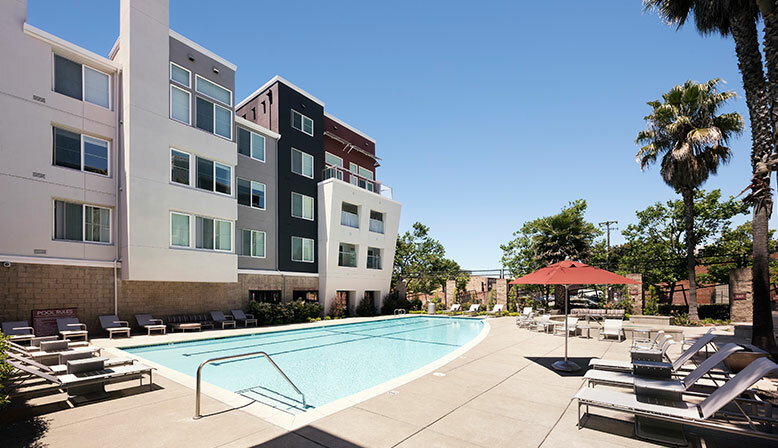 Want to swim a few laps, lounge by the water in the sun, or take a warm soak on a cool evening? 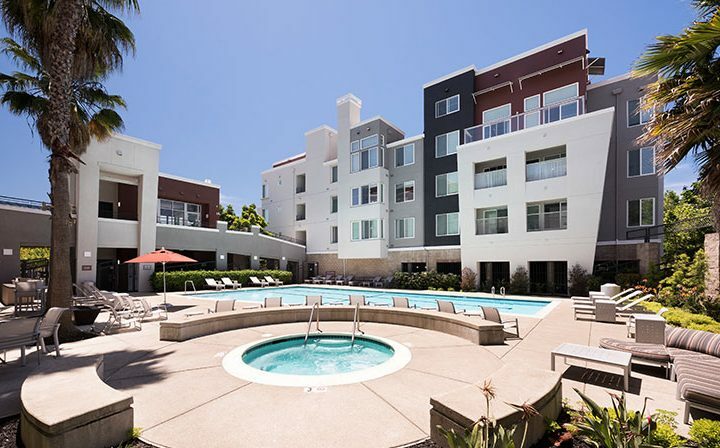 The apartment grounds also include a beautiful pool and spa. 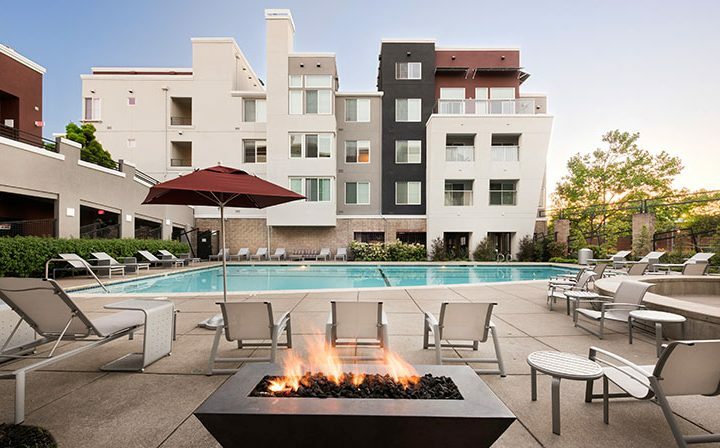 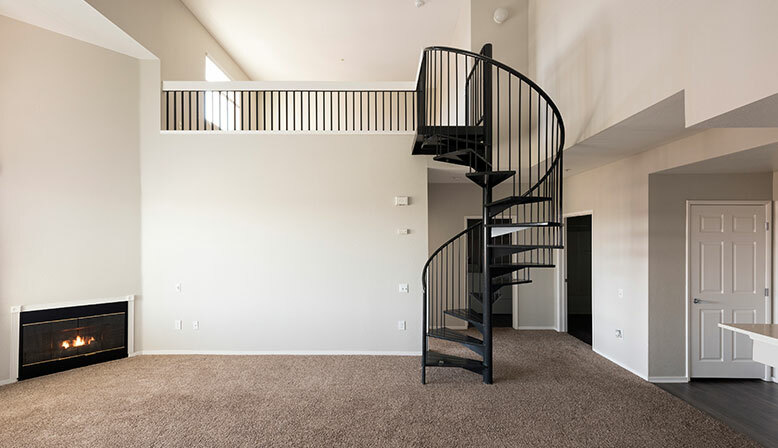 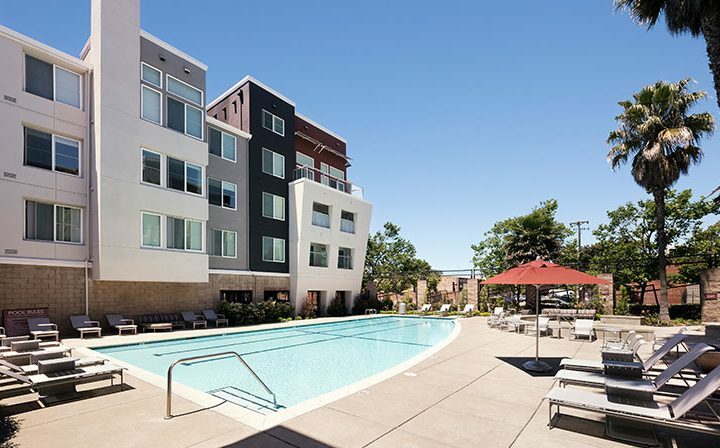 With a total of 220-units, you’ll find a variety of floor plans to choose from at these Emeryville apartments. 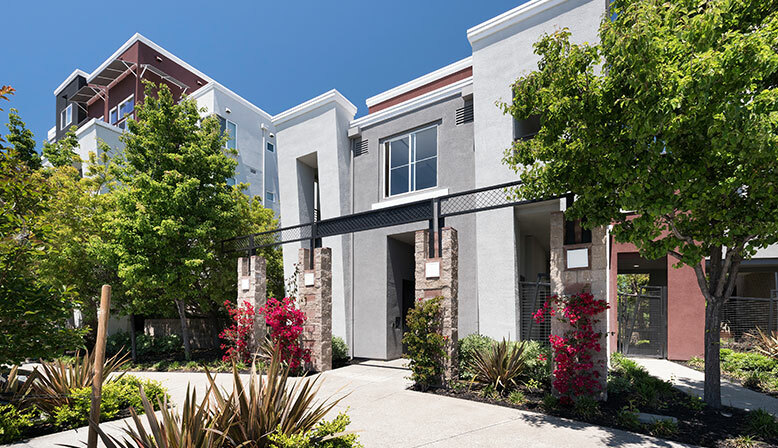 If you’re ready to make Bridgecourt your new home in the Bay Area, schedule a tour – we’d love to show you around!